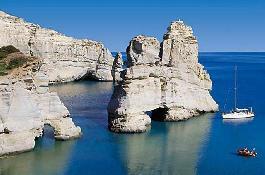 Holiday.gr - MILOS, a trip to a myth! 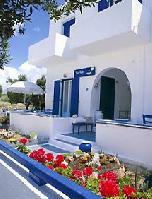 Been to MILOS ? Share your experiences! 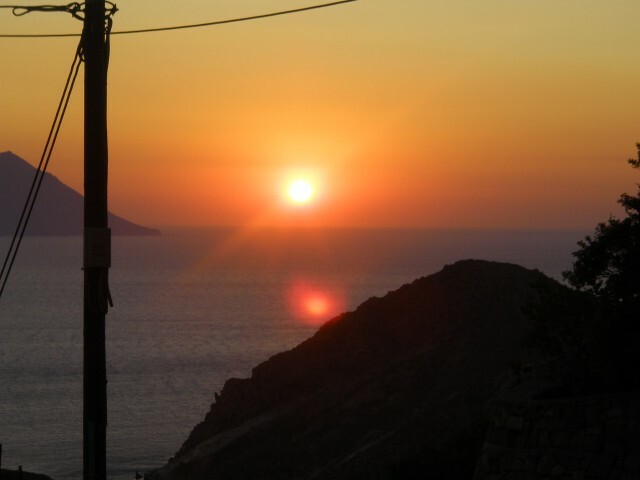 Milos with the glowing beauty of Aphrodite that hid in its land for centuries, the mysterious charm from its natural beauties and the significant monuments all over it, has international fame and has turned it into the ideal destination for every visitor. 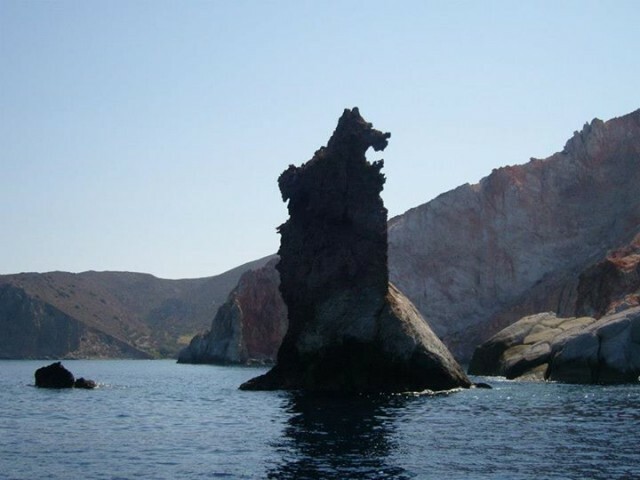 It is located in the southwest end of Cyclades islands and is 5th in size. Milos distinguishes for its shape, like a caulk, and for Adamantas' port that is considered one of the safest natural ports in Mediterranean Sea. Due to its volcanic ground, the island has peculiar stone shapes, beautifully coloured and enchanting coasts with white-gold beaches and carved rocks mirrored in the Aegean blue, that magnetize visitors. 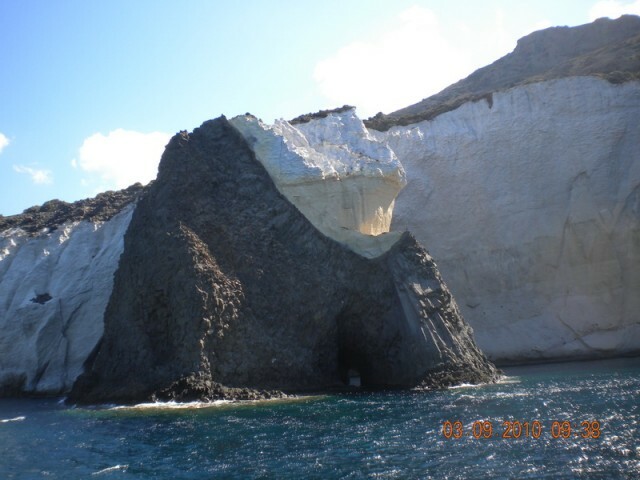 Milos has mineral richness. The extraction of opsidanos or opsianos, a black stone like glass used to manufacture tools, contributed to the island's financial bloom. 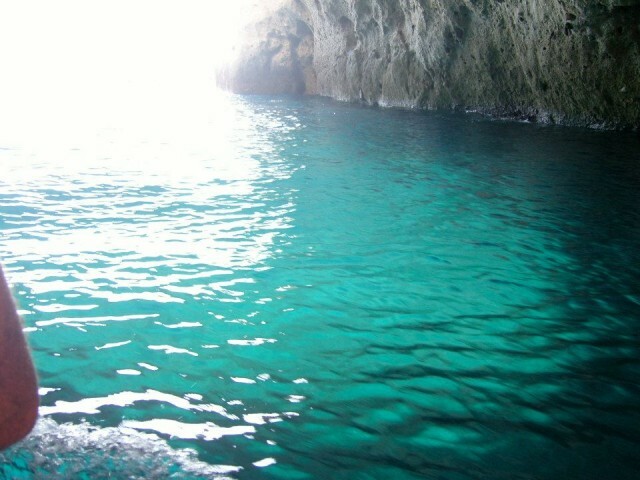 Milos has one of the most ancient mines in Mediterranean Sea. 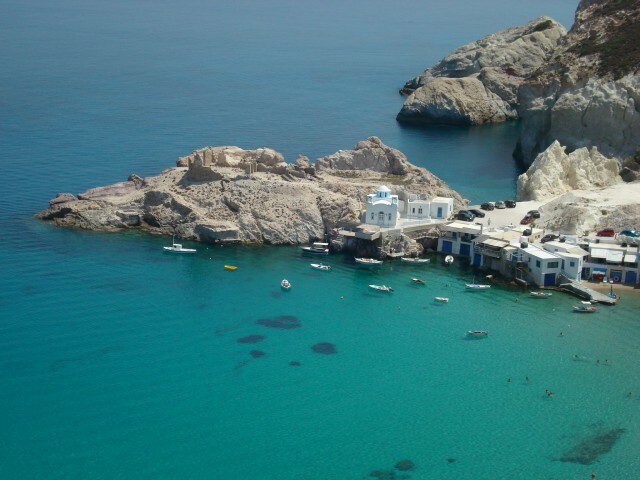 Milos is inhabited since prehistoric times and has a glorious history to show. The remains of ancient towns and archaeological findings reveal the island's significant route through centuries. Today, with the glow of Mediterranean sun and the plash of waves whispering the sirens' song to travelers, Milos is a heavenly land to spend the best holidays ever. Visit it and let yourselves free!